FOR IMMEDIATE RELEASE: Bangor, Maine (September 3, 2018) – There’s no evidence that Easy Street exists in the world of professional mixed-martial-arts. If it did, it’s safe to say Caleb Hall wouldn’t be able to find it, even if he were furnished the most precise global positioning system and the unlimited kindness of strangers. Hall is wired to fight hard, fight often, and fight against the best available competition to give himself an accurate barometer of where he stands in the sport. That won’t change this Saturday, September 8th, when he takes on C.J. Ewer in a lightweight bout at New England Fights 35: “Wicked Season.” The card will take place at Cross Insurance Center in Bangor with an opening bell time of 7 p.m.
Hall, 24, a multi-time state champion wrestler during his career at Dirigo High School, isn’t bothered that he’ll be taking on a hometown hero who has been a titleholder for the regional promotion. It seems he subscribes to pro wrestling legend Ric Flair’s mantra: To be the man, you’ve got to beat the man. The fight is a natural pairing for two of Maine’s top pros. Each is eager to get back into the NEF hexagon, for opposite reasons, after their results earlier this year. Hall handled John Ortolani, a wily veteran with main-event experience on his 20-fight ledger, in an impressive April pro debut. His game well developed from a double-digit total of amateur scraps, Hall earned a submission via the rarity of a Von Flue choke at 2:16 of the opening round. Two months earlier, Ewer sustained his first loss in the pro cage by kneebar against Kemran Lachinov. He’s tough on home turf, however, as evidenced by a stoppage of Rumford’s Mike Hansen last summer. Since making his debut only a month after he crossed the legal age threshold of 18, Hall has carved out a reputation as a relentless, crowd-pleasing competitor who isn’t picky about his opponents. That’s made life easier for NEF co-owner and matchmaker Matt Peterson, who can always count on Hall being ready for prime time near the top of the bill. Everything else about Hall’s progression in the sport has been measured conservatively. He toiled in the amateur ranks for more than five years, wanting to make sure that his acumen was developed and his repertoire well-balanced. Hall never budged from his amateur weight of 145 until moving up to 155 – historically NEF’s deepest and toughest pro division – for his shot at Ortolani. He and Ewer are now jockeying for position in a class that provided great success for the likes of Powell, Bruce Boyington, Ryan Sanders, Jon Lemke and Jesse Erickson. Advancing to that fray would have been foolhardy if Hall hadn’t done things the right way physically and nutritionally. When he fought at 145, Hall said his day-to-day weight when not in training was just shy of 170 pounds. He can now comfortably carry 175 to 180 between bouts. Less last-minute dehydration is necessary to reach the lightweight limit. 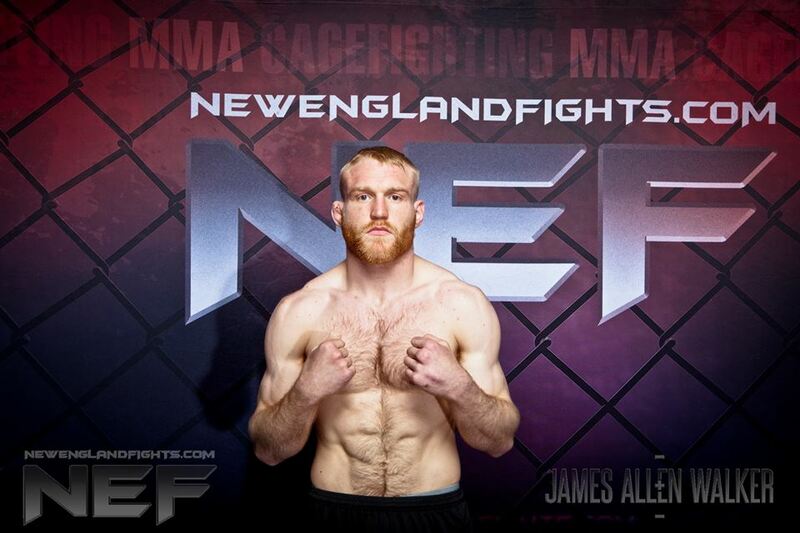 Hall appreciates the perception that his fight with Ewer is a big one in the NEF title picture and beyond, but as always he is eager to steer clear of the hype. Three five-minute rounds aren’t much time in the grand scheme, either, although it’s a grueling grind when two action fighters such as Hall and Ewer are going at it. Despite their first-round finishes last time around, Hall won’t be surprised to see this one venture closer to the advertised distance. NEF’s next mixed-martial-arts event, “NEF 35: Wicked Season,” will see the company make its return to the Cross Insurance Center in Bangor, Maine. The event is scheduled to take place this Saturday, September 8, 2018 with a bell time of 7 pm. Tickets are on sale now at www.CrossInsuranceCenter.com.